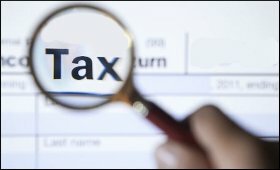 Country's direct tax collection between April and December in the current fiscal at Rs 6.56 lakh crore was 18.2 per cent higher than for the corresponding period last year, according to an official announcement on Tuesday. A Finance Ministry statement said the collections till December represent 67 per cent of the total budget estimates for direct taxes for fiscal 2017-18. "Provisional figures of direct tax collections up to December 2017 show that net collections are at Rs 6.56 lakh crore, which is 18.2 per cent higher than the net collections for the corresponding period of last year," the Ministry tweeted. "Net direct tax collections represent 67 per cent of total budget estimates of direct taxes for FY 2017-18 (Rs 9.8 lakh crore)," the release said here. As per the Central Board of Direct Taxes (CBDT) data, gross collections before adjusting for refunds have increased by 12.6 per cent to Rs 7.68 lakh crore during April-December 2017. Refunds amounting to Rs 1.12 lakh crore have been issued during this period. A total of Rs 3.18 lakh crore has been received as advance tax till December, reflecting a growth of 12.7 per cent on this count over the corresponding period of last year, the statement said. "The growth in corporate income tax advance tax is 10.9 per cent and that in personal income tax advance tax is 21.6 per cent," it added. Analysts pointed out that the increase in direct tax collections "indicates a strengthening of corporate profits". Commenting on the higher direct tax collection, Riaz Thingna, Director, Grant Thornton Advisory Private said: "This is accentuated by the fact that one expected that advance tax payments would be subdued with funds being locked up in GST payments. All in all this should bring cheer to industry watchers." According to Samir Kanabar, Tax Partner, EY India: "Higher personal advance-tax collection of 21.6 per cent reflects expansion of tax base and impact of demonetisation; this, probably allays fears of slowdown in taxpayer base." "Share of income-tax (67 per cent) is significantly higher as compared to an average share of around 53 per cent over last four years." Shefali Goradia, Partner, Deloitte India said: "In December, 2017, the CBDT had issued instructions to step up efforts in tax collection by pursuing tax arrears and expediting even non-time barring cases where there was a possibility of raising tax demand. Increase in the tax collection may be in response to this initiative."